Supporters and opponents of the ousted Egyptian President Hosni Mubarak clashed outside and inside the court building as the trial of the 83-year-old former president continues. At least 12 people were injured in clashes Monday, and nearly two dozen arrested. Monday's session was temporarily halted after legal advisers for the prosecution and defense started a brawl, local media reported. It is not yet clear whether the trial will resume. 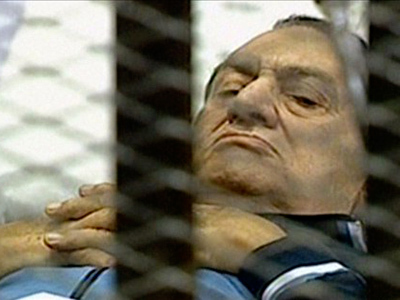 Mubarak is charged with corruption and complicity in the killing of protestors during the February uprising that toppled him. Standing in the dock along with him are two of his sons and a senior aide. 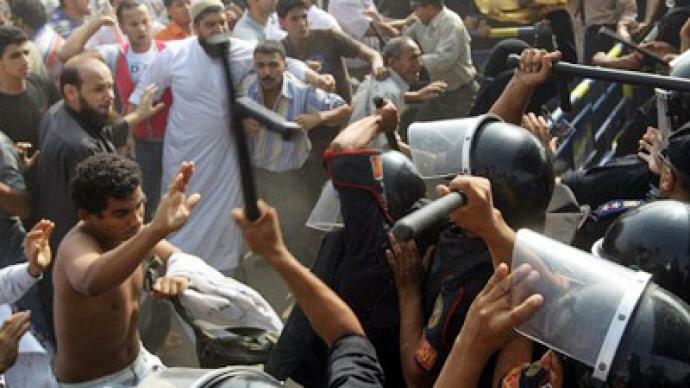 Four policemen are to testify against Mubarak on Monday. The session is the third round of court hearings after proceedings were delayed on August 15. The judge banned cameras from the Police Academy building where the hearings are taking place, provoking anger from Mubarak opponents who wanted a swift and open trial. 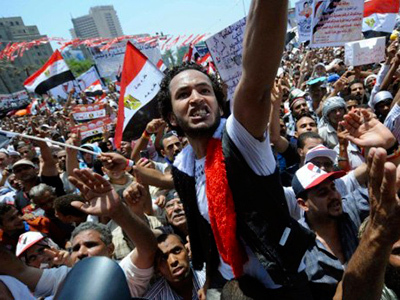 The crowds have been hurling rocks at police guarding the building as well as at supporters of the ousted Egyptian leader who are also present at the site. The latter have responded in kind, and even some of the policemen have resorted to violence, reports Itar-Tass news agency. The previous round of the trial was marked by similar clashes. ­Meanwhile, the new Egyptian authorities are struggling to gain control over the financial assets of the previous administration, which are held in foreign banks. 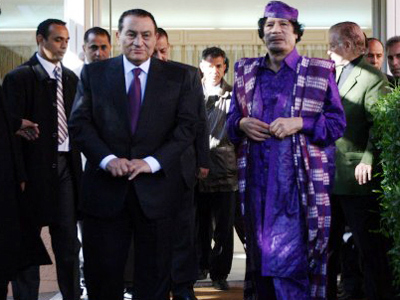 The money, allegedly stolen by Mubarak family members and associates, has proven to be well-hidden, reports the Washington Post. So far, the international search for the missing billions has discovered US $520 million in assets in Switzerland that the Swiss authorities say have been frozen. But no money has been returned to Egypt, and it is far from certain whether any assets will ever be recovered. The newspaper cites money-laundering experts as saying that the process of finding such assets is very complicated and time-consuming. “The difficulty will be how much evidence can be brought to show that specific assets belong to or are controlled by people who are undertaking corrupt activities,” said Jean Pesme, co-ordinator of the Stolen Asset Recovery Initiative jointly operated by the World Bank and the United Nations.